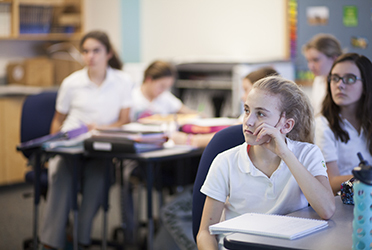 Our academic program challenges the girls to be critical thinkers and problem solvers. Emphasis is placed on building effective communication skills through our writing and public speaking curricula. 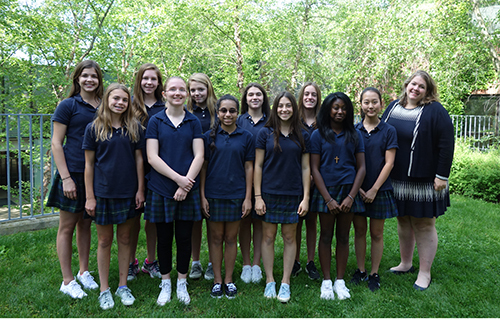 Our advisory curriculum, which matches faculty members with groups of girls, is designed to address each girls’ ever-evolving social, emotional and developmental needs. Advisory offers a space for girls to find their voice, form their identity, and build deeper relationships with their peers and advisor. 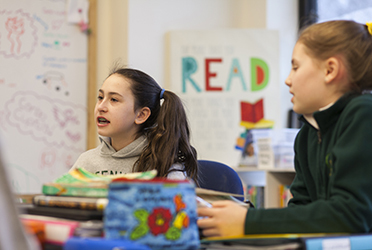 Our advisory program, coupled with our weekly all-Middle School meetings and assemblies, contribute to our nurturing and close-knit Middle School community.